How wonderful that the internet can be used to evangelize and to spread the Catholic faith! Case in point: there is a great new app for St. Louis de Montfort's Total Consecration available for iPhones, iPod, iPad, etc..
...Because this consecration is so powerful and active in the lives of many Catholics, HyperDo Media developed a free app for this consecration, placing mobile accessibility in the hands of every iPhone, iPad and Smartphone user. The MyConsecration App provides all the prayers and materials necessary for making the 33-day consecration. 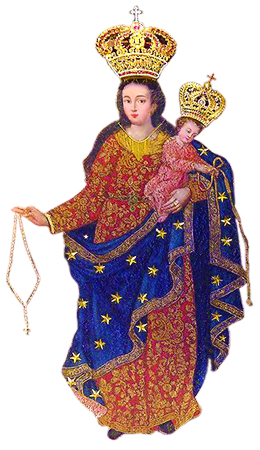 Some of the features we’ve included are: a “Plan” tab, which informs users about Marian feast days so that they can begin and end their consecration accordingly; a “Settings” tab where users can enable notifications and daily reminders, available via either text message or ringtone; social media integration: users can share with friends on Facebook whether they are renewing the consecration or making it for the first time. HyperDo Media believes that this app is an efficient way for mobile users to develop their spiritual life wherever they are. Now we want to share it with all our fellow Catholics. I downloaded the app for my iPod Touch the other day. I found it a beautiful little touch of Catholicism for my iPod! The My Consecration app is easy to use and is categorized so that the prayers, preparation dates, etc. are accessible without difficulty. It even has a notification setting which will remind you it is time for prayer. Although, I have already made my Total Consecration and have renewed it fairly recently, I will be renewing it once again using the app. Oh, and did I mention? It is free. This new Catholic app is highly recommended! 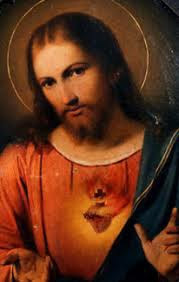 In this month dedicated to the Most Sacred Heart of Jesus, let us pray that our hearts will become meek and humble, like unto His. Let us also make reparations for the numerous offenses against the Sacred Heart of Jesus. A lady I know has offered to teach English to the new priest in her parish. She tutors Father after Mass. She is patient and tries to encourage Father. However, she is very discouraged and hurt by the comments she hears. It seems that there are some who voice their criticism of Father's limited English not only to her but to Father himself, and maybe even to the bishop. This is not the only incident where a parishioner feels the need to complain because the priest speaks with an accent or if the priest is still struggling to learn the English language. It is very sad when faced with a priest shortage worldwide, the United States of America, who once sent missioners to just about every corner of the world, now finds itself in need of priests from foreign countries to shepherd the people in this country. In Hawaii priests from the Philippines, China, the African countries and Colombia, to name a few, have been sent to serve the people in the Diocese of Honolulu. Do you think it is easy for these men of God, to leave their home countries and their families, to come to a far off place where they are forced to communicate in a new language? How difficult it must be for them! Put yourself in their place. Would it be an easy thing for us to do? I hope and pray that people will be patient with these holy men. 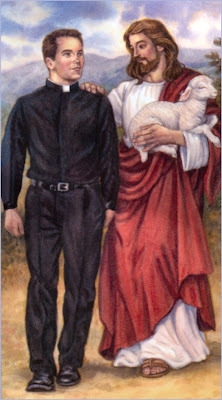 I hope and pray that instead of criticizing and complaining about a priest's lack of English skills, they will be grateful that there is a priest who will offer the sacrifice of the Mass at the church and administer the sacraments; that they will like the lady I mentioned above, volunteer to tutor their priest in English or at least say something encouraging to him. Sad to say, the priest in the lady's church has been transferred.